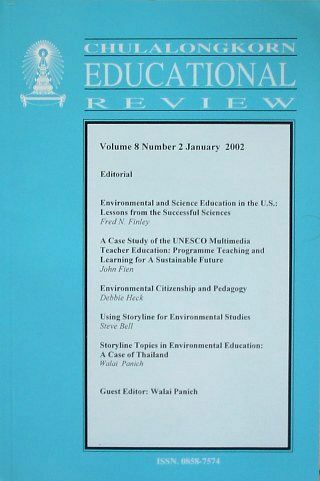 The CHULALONGKORN EDUCATIONAL REVIEW is the official journal of the Faculty of Education, Chulalongkorn University, founded in 1994 to advance knowledge and teaching in education. The Journal is published two times in the year, in January and in July. The editor is DR Chawalert Lertchalolarn. © 2019 Storyline Scotland — All Rights Reserved.